“The Good Son” is the passionate story that follows the life of Ray “Boom Boom” Mancini. The film is already starting to get early Oscar 2014 consideration, and recently signed a distribution deal with Snag Films for a theatrical release in the U.S. later this summer. His other film, “Becoming Redwood” is also a passion project, as it is based on Jesse’s childhood. The film will be released in theatres across Canada on April 12th. Both films have proved to be festival gems, and have won multiple film festival awards where they have screened. Both filmed in 2011, Jesse finished the principal photography on “The Good Son”, and promptly flew home to Vancouver to start casting “Becoming Redwood” the next day. He went back and forth editing both films until they were both completed in the spring of 2012. As a director, Jesse poses determination, resilience and passion, qualities that transpire into his work behind the camera. Coming from a family immersed in the arts, as a child, Jesse was in tune with his creative genes and began writing plays, scripts, songs and poems. Writing was a creative outlet for Jesse that fed his imaginative mind, yet he knew that before he could direct his own film, he would need to learn the ins and outs of the film industry. 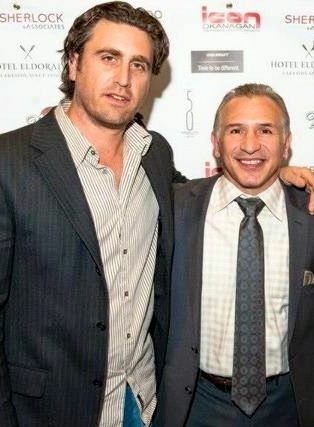 The Feature Documentary “The Good Son: The life of Ray ‘Boom Boom’ Mancini” recently premiered at an exclusive viewing in Hollywood in March. This invite only, sold out event had a guest list that included Hollywood elite James Caan, Robin Wright, Mickey Roarke, Ed O’Neil, boxer legend Sugar Ray Leonard, UFC legends Bas Rutten, Rorion Gracie, and current UFC fighter Brendan Schaub in attendance. Ray Mancini was the special guest and presenter of the screening. 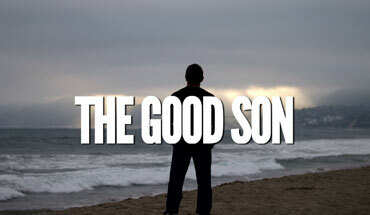 “The Good Son” follows Ray Mancini, son of the original Boom Boom lightweight contender Lenny Mancini. A national icon in the sport of boxing Ray competes to represent middle class America, but most of all, fights to conquer his father’s unfinished business. Lenny’s dreams ended on a battlefield, when fragments from a German mortar shell nearly killed him. Almost four decades later, Ray promises to win the title his father failed to achieve. “The Good Son” focuses on real life perspectives and accounts, detailing the highs and lows of Ray’s boxing career. The documentary discusses a match in 1982 against obscure Korean challenger, Deuk Koo Kim that would alter Ray’s path in life forever. Challenger Deuk Koo Kim never regained consciousness after the fourteenth round and passed away days after the match. Three months later, Deuk’s despondent mother took her own life. These deaths have not only haunted Ray but also tainted his image as an all American boxer. “Becoming Redwood” is partially based on Jesse’s life, and stars Ryan Grantham, Jennifer Copping, Scott Hylands, Derek Hamilton and Chad Willett. Jesse wrote the script in 1998, but it was several years before Jesse considered the script ready. Set in 1969, “Becoming Redwood” follows the life of Redwood Forest Hanson, who at the age of 2, witnesses his family disintegrate as his mother leaves his father for a new life. At the very moment his mother walks away, Redwood, aided with the background radio news of another Jack Nicklaus victory, has the beginning of a stress induced epiphany: Beat Jack Nicklaus, the world’s greatest golfer, and his family will be back together. This bittersweet film focuses on Redwood`s longing to triumph over the adversities of everyday life. With no easy solutions in this coming-of-age comedy, a sense of hope still prevails for Redwood: a hope for love, a hope for the future, and for a sense of amity in the unsympathetic wheel of life. “Becoming Redwood” will be screening at the Sanoma International Film Festival on April 12th. Jesse along, with his wife and lead Jennifer Copping, and star Ryan Grantham will be in attendance on April 12-13. The film will also open theatrically beginning April 12th, with an exclusive engagement at International Village Cinemas in Vancouver. Jesse recently wrote and directed the award-winning documentary film “My American Exodus” (VIFF, OIFF, DOC CITY DOCFEST) and was nominated as Best Director for the critically acclaimed feature documentary “Uganda Rising “(HotDocs, Discovery Times). He also directed the feature film “The Seamstress” (Lance Hendriksen), helmed the pilot presentation piece “Captain Starship” (Paul McGillion) and is currently directing commercials for Lancaster Vintage (featuring Snoop Dogg, Mike Tyson, Muhammad Ali and Bruce Lee). Busy as ever, Jesse is currently writing two feature scripts developed a television series with legendary names that is up for consideration this summer, a reality show and a feature documentary with a major name. Jesse credits his family for inspiring him to follow his dreams of becoming a writer and director. He currently resides with his wife and two sons in Vancouver. This entry was posted in Jesse James Miller and tagged Becoming Redwood, Bruce Lee, Chad Willett, Derek Hamilton, Deuk Koo Kim, director, DOC CITY DOCFEST, Ed O'Neil, film festivals, film industry, film maker, International Village Cinemas, James Caan, Jennifer Copping, Jesse James Miller, Las Vegas, Lesley Diana, Mickey Roarke, Mike Tyson, Muhammad Ali, New York, OIFF, Robin Wright, Ryan Grantham, Scott Hylands, Seoul, Snoop Dogg, The Good Son, The Promotion People, Vancouver PR Firm, VIFF on April 10, 2013 by press.